The image is an extra large picture printed on plastic poster. 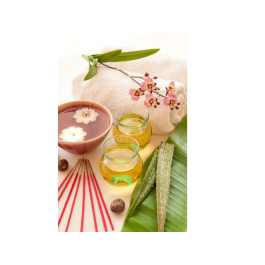 It advertises a few essential spa treatment items and encourages your customers to also loosen up and enjoy themselves. Pure color and exceptional detail that is suitable for museum or gallery display. It is a great eye catcher for you to attract new customers. You can put them on your windows or walls to display what types of massages and supplies you offer. This picture entails that you offer supplies and decorations similar to this picture. This large image fits perfectly on your wall and displays a sense of soothing relaxation. 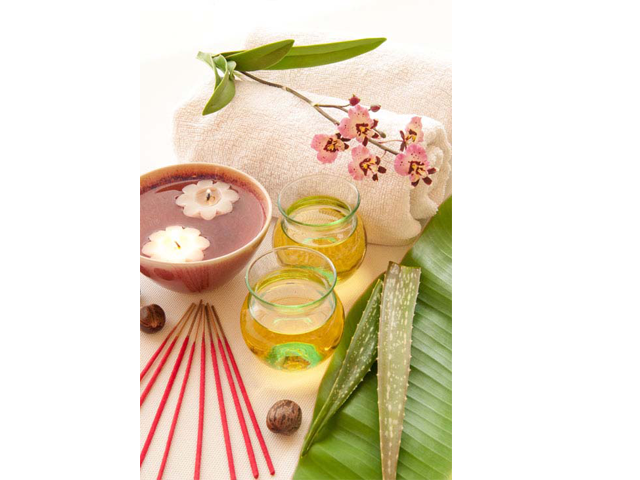 Day spas are also quite popular, and offer various personal care treatments.